New single in 2 versions from Paul. And the Christmas spirit keeps visiting the blog. 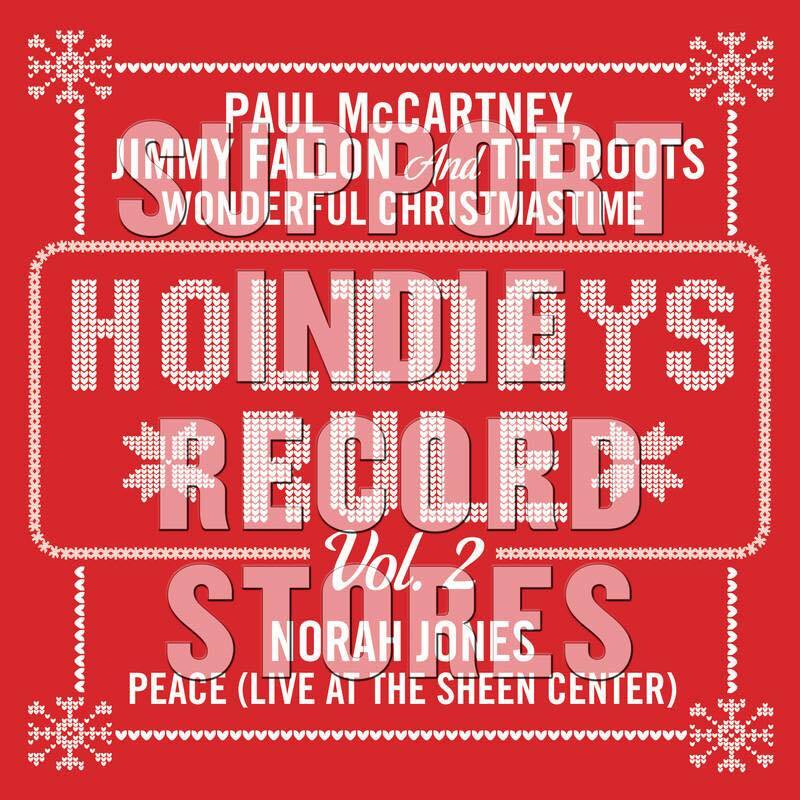 Back in 2012 in conjunction with Record Store Day's "Black Friday", Paul McCartney released a Christmas single in two versions, on red and green vinyl. 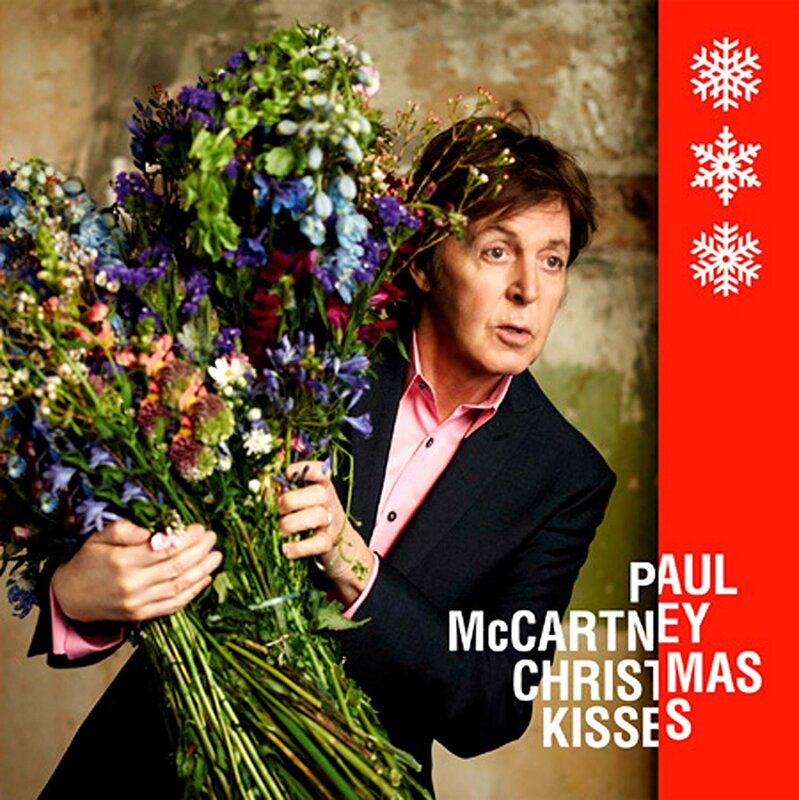 The single featured "Christmas Kisses (The Christmas Song)", backed with "Wonderful Christmastime". The 2012 Christmas single has become expensive. Today this is a collector's item which can sell for up to $50. 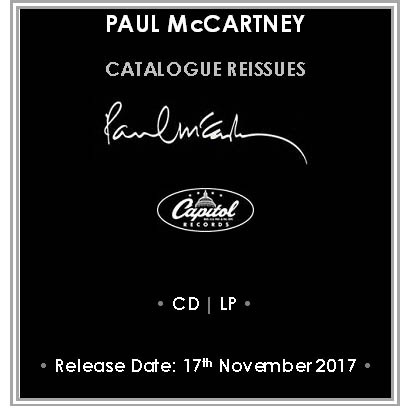 Next Record Store Black Friday on November 24, Paul is set to release two more singles featuring "Wonderful Christmastime" on respectively red and green vinyl. The former is backed with Norah Jones' version of "Peace", the latter has The Decemberists' rendition of "Jesus Christ". 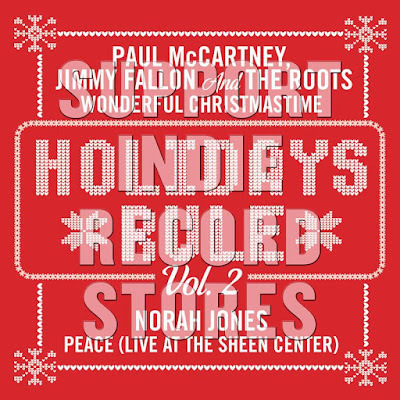 Paul's own song is a version featuring Paul himself, Jimmy Kimmel and The Roots. Will it be as collectable? Limited to 3500 for each colour, but as usual we have no idea whether this is a worldwide figure, or if it's just the North American quantities. Joe Gooden's book, "Riding So High". Whether you're a stoner, straight-edge or somewhere in between, you won't want to miss this. 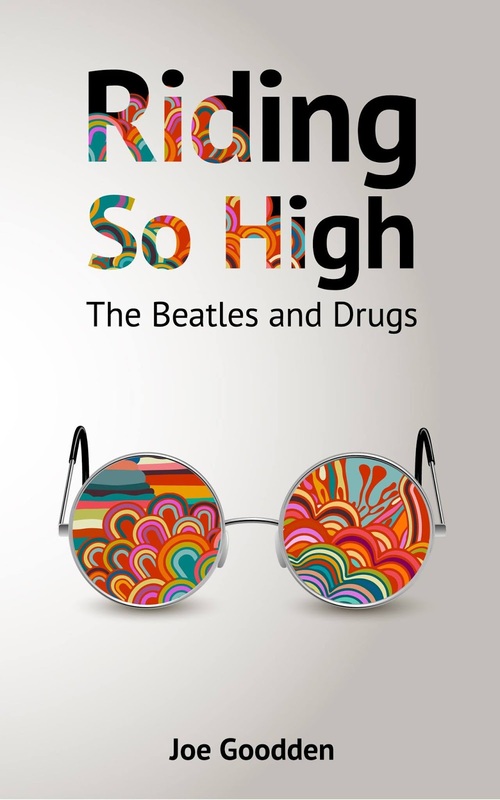 Riding So High – The Beatles and Drugs. 113,413 words. 9 October 2017. Joe also runs The Beatles' Bible, possibly the greatest online Beatles resource. 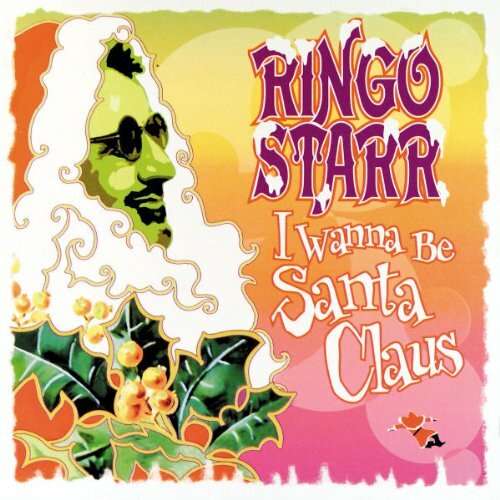 Looks like someone is in Christmas spirits, because September 22 Ringo Starr's album "I Wanna Be Santa Claus" (or the Santa Claus album, "I Wanna Be Ringo Starr") was released on vinyl by Mercury Records. We heartily recommend this album! After this album, Starr was to leave Mercury after they had done no promotion for it, which in turn resulted in little sales. This is the first vinyl edition of the album, as it was originally only available on CD and cassette. 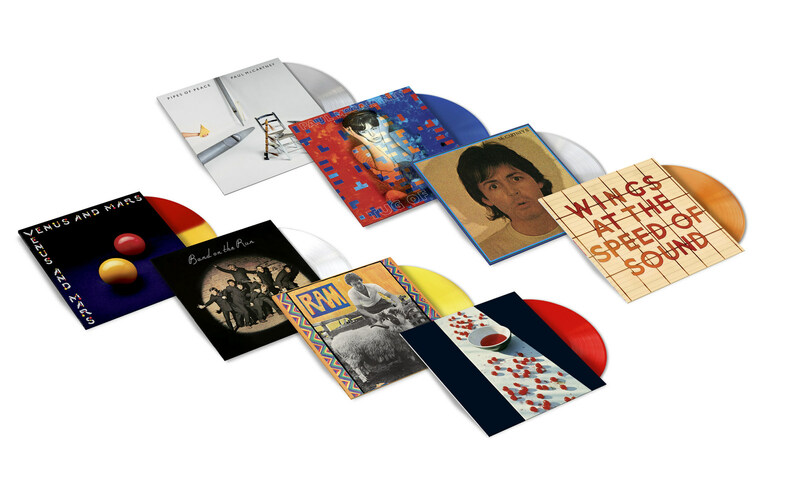 8 albums from Paul McCartney, Linda McCartney and Wings are being reissued worldwide on CD, 180-gram heavyweight vinyl and limited edition coloured vinyl. The Paul McCartney Archive Collection debuted with the November 2, 2010 re-release of Paul McCartney & Wings’ 1973 milestone Band on the Run, which won the 2010 Grammy Award for Best Historical Album, while the Archive Collection’s Deluxe Edition Box Set of the 1976 classic Wings Over America took the 2013 Grammy for Best Boxed or Special Limited Edition Package. The most recent installment was this year’s reissue of Paul’s eighth studio album Flowers In The Dirt, which ROLLING STONE called “spectacular… an extraordinary document,” and the OBSERVER hailed as "perhaps the greatest record to emerge from the world of AOR in 1989... an absolute pleasure to rediscover today." So, does this mean that the Archive series is continuing? We hope so! Charlie T joins his fellow Wilburies, Nelson and Lefty. 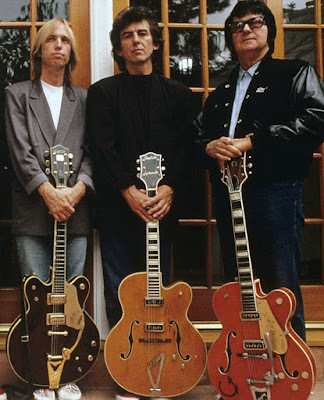 Another member of George Harrison's old supergroup, The Traveling Wilburys has died. Tom Petty, also known as Charlie T Wilbury jr, died peacefully in a hospital in Los Angeles, Monday the 2nd October at 8.40pm local time. He had been rushed to the hospital after having been found lifeless at home. Petty had previously been open and outspoken about his problems with heroin addiction. Petty was friendly with George Harrison and Ringo Starr, and his band The Heartbreakers backed Bob Dylan on his 1986 and '87 tours. Petty has been a central American rock artist since the late seventies, with hits like "American Girl", "Free Fallin'" and "I Won't Back Down". His first major album success with The Heartbreakers was "Damn The Torpedoes" in 1979. His solo album "Full Moon Fever" lifted him to new heights ten years later, following Petty's membership in on of rock's biggest superstar groups, The Traveling Wilburys, together with Bob Dylan, George Harrison, Roy Orbison and Jeff Lynne. Now there's just two of them left on earth. Tom Petty and the Heartbreakers finished their last tour just a week ago at the Hollywood Bowl.